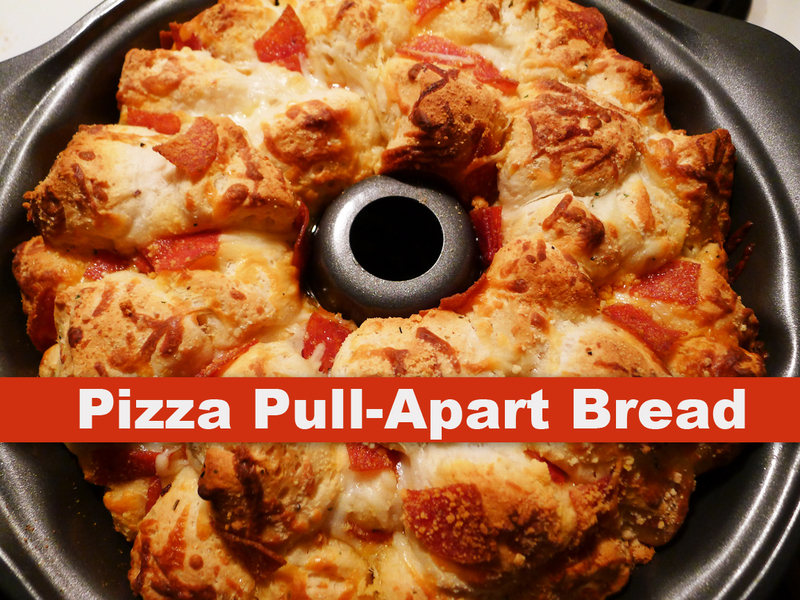 Here’s a fun and different way to have a family pizza night. It’s just 7 basic ingredients and a quick, easy dinner for everyone. The kids will even have fun helping put this one together! 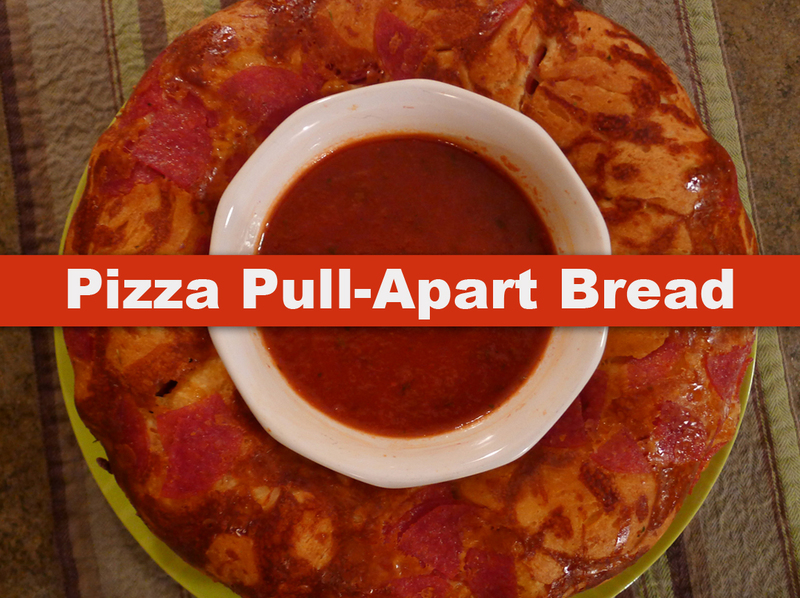 Serve with a small bowl of pizza sauce and enjoy! 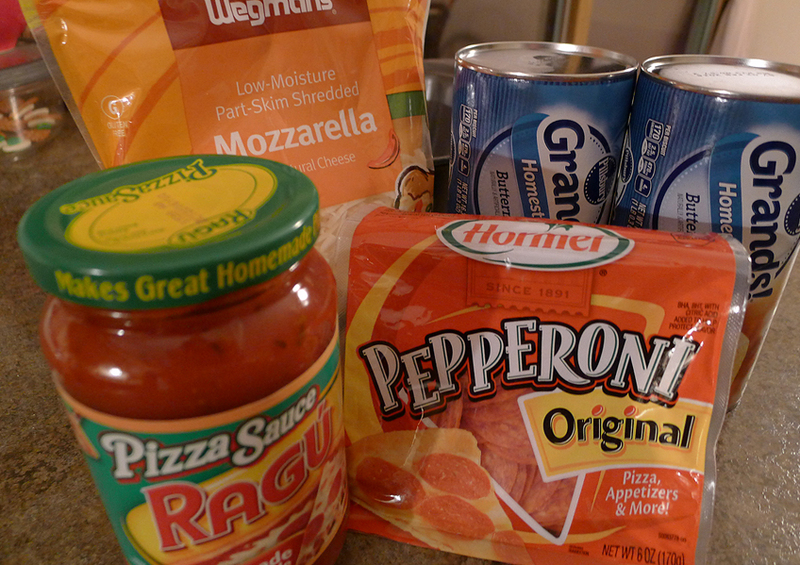 * You can add other ingredients, such as peppers, onions, mushrooms, sausage or whatever your favorite pizza toppings are! Play with different ideas, or even make a vegetarian pizza! Have fun and enjoy! 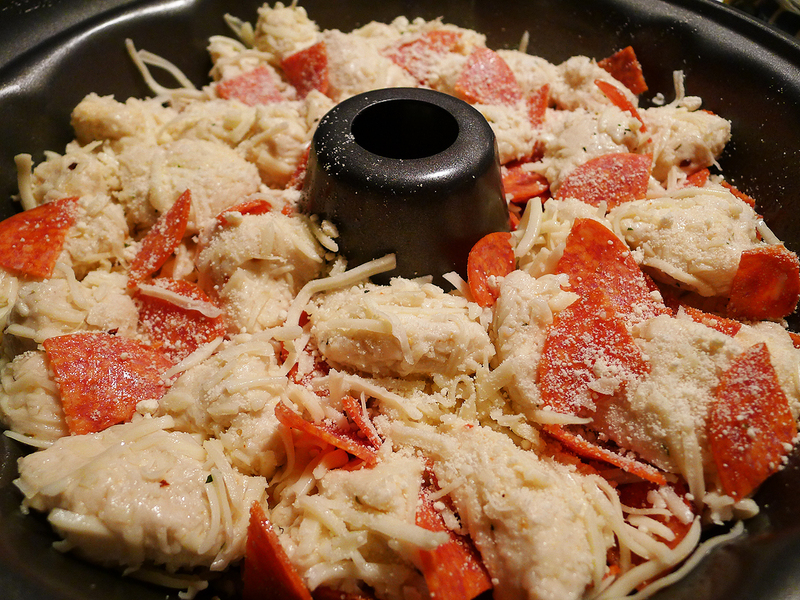 This entry was posted in baking, dinner, main course, recipe and tagged biscuits, cheese, dinner, pepperoni, pizza, recipe. It’s sweet, gooey and delicious. 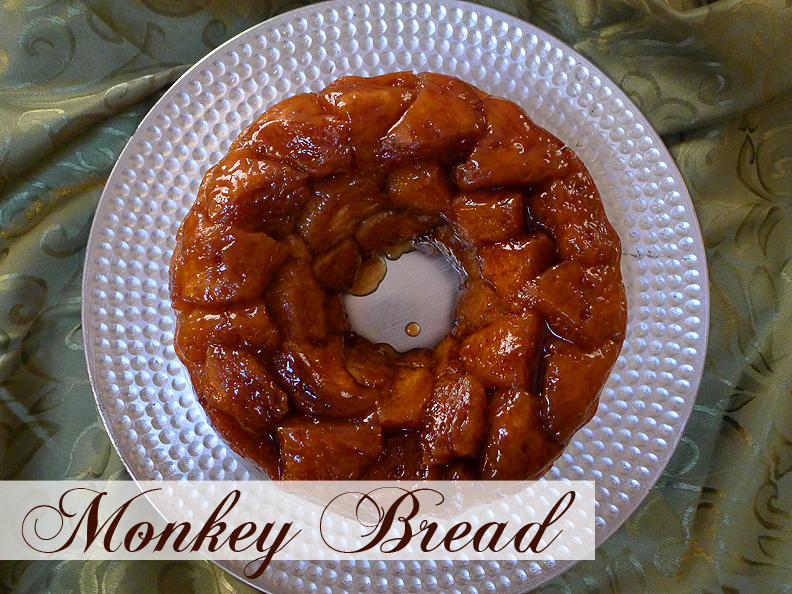 It’s Monkey Bread! And it’s super simple to make with just a few ingredients. Try it some morning when the whole family is home, they will love you for it. Prepare Bundt pan with cooking spray. Combine sugar and cinnamon in a bowl, mix well. 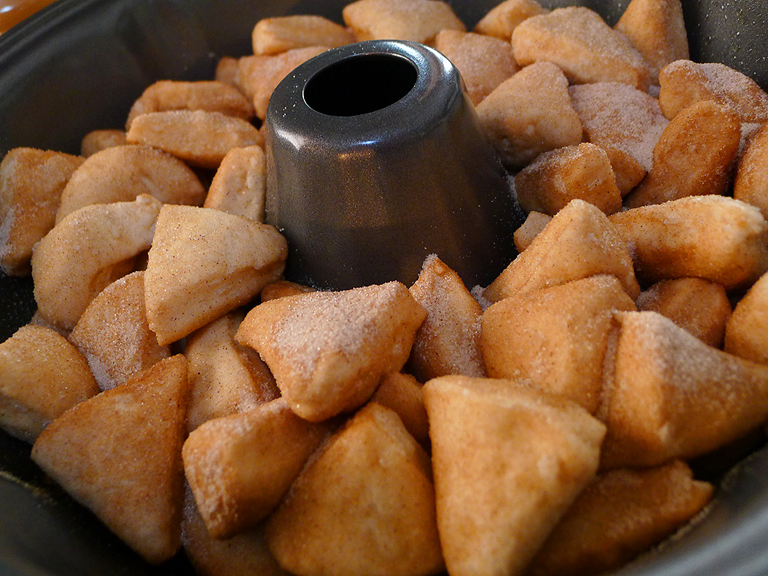 Drop pieces of dough in the cinnamon sugar mixture and stir gently with a large spoon. Do one biscuit (6 pieces) at a time, it keeps them from sticking together. 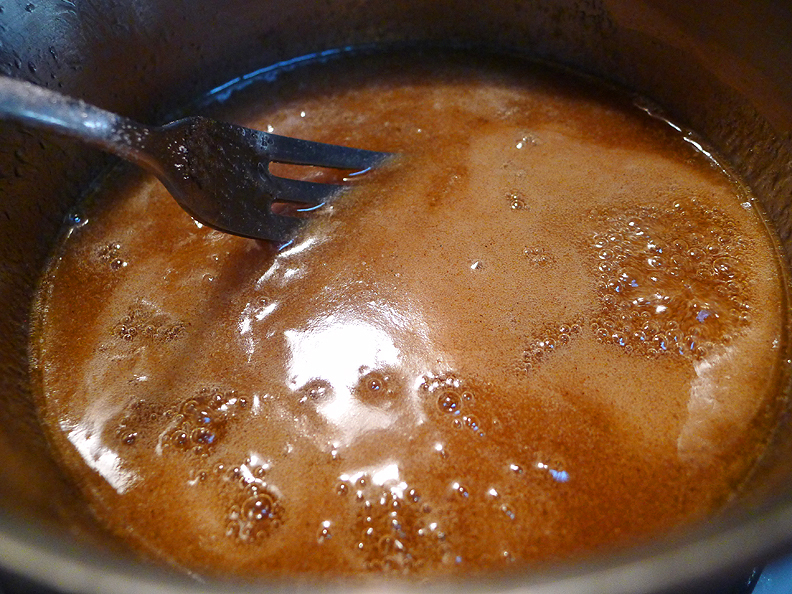 In a small sauce pan, combine remaining sugar cinnamon mixture with the brown sugar and butter. Bring mixture just to a boil then immediately and carefully drizzle the mixture over biscuit pieces in the Bundt pan. Allow it to sit for 5 minutes, then put a large plate on top of the Bundt pan. Flip the bread over and onto the plate. Remove Bundt pan. 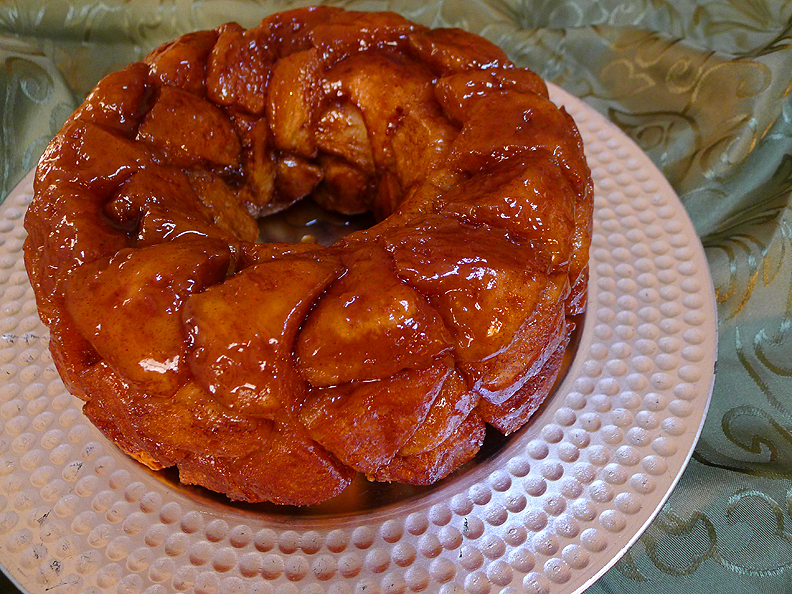 After cool, pull apart pieces of the monkey bread, eat and enjoy! This entry was posted in baking, breakfast, recipes and tagged baking, biscuits, breakfast, cinnamon, monkey bread, sugar.